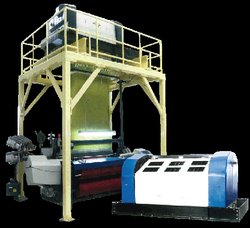 Offering you a complete choice of products which include electronic jacquard power loom. Power reduction of 50% and less generation. Basing on the strong capacity , high quality, low cost and wonderful performance, Qihui electronic jacquard had replaced import electronic jacquard and won a high reputaion. The mature interface compatible with Rapier, Air Jet, Water Jet, Projectile Looms, such as Dornier, Nissan, Picanol, Smit, Somet, Suzler, Toyota, Vamatex and domestic looms. speed upto 500 wefts/min. Adopting a variety of communication interfaces to fulfil different shed mode's demands. High cost performance , convenient for maintenance. PWM mode current drive a power consumption reduction of 50% and less generation. Looking for Jaiquard Power loom ?